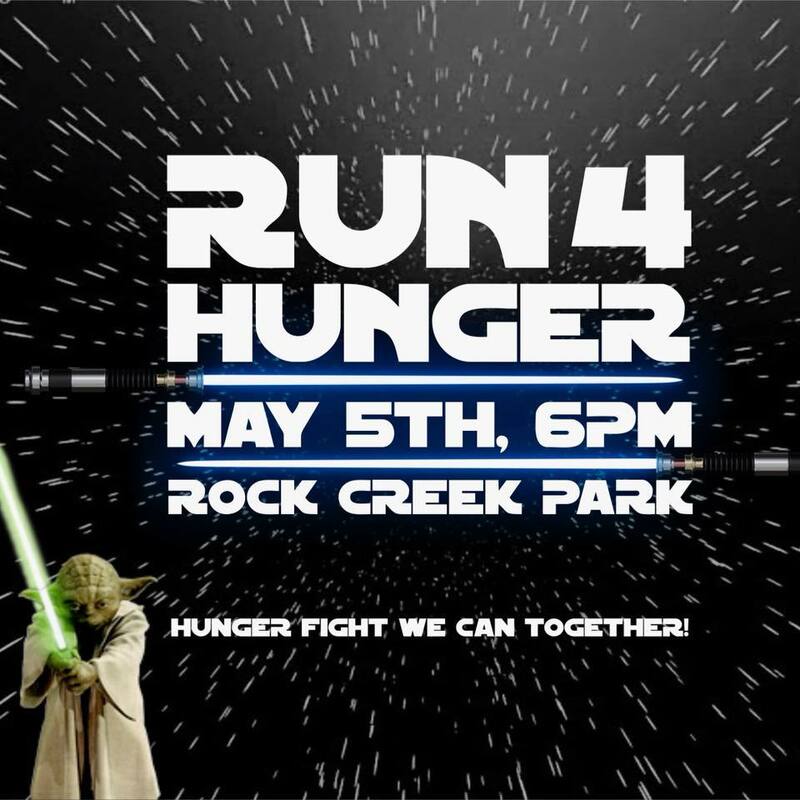 Proceeds for the 2018 Run for Hunger 5k will go to support The Church @ War Hill Community Outreach Program. Through the Community Outreach Program, food is distributed to families in need. The Community Outreach Program also operates the Grocery Garage which sells groceries at a discounted price to help with the cost of feeding the average family. The timed 5k will begin at 6:00pm. Participants can pick up their race packet beginning at 5:00pm at the large pavilion on race day. Suitable for various ages and/or skill levels. Prizes will be awarded to the overall male and female winner along with the top three finishers for 10 and under, then in 5 year age groups thru 75+. Last day to registert to be guaranteed a shirt is April 27, 2018. The Kidz Fun Run for ages 10 and under will begin at 7:30pm. STAR WARS COSTUME CONTEST FOR RUNNERS!! Prizes for best adult and kidz costume!